Capcom Senior Vice President Christan Svensson has announced that he is no longer with the company, which is laying off an unspecified number of people as part of a reorganization. 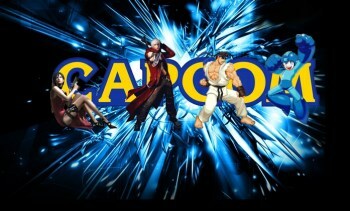 In a message posted on his Facebook page, Svensson, perhaps the most visible figure at Japanese publisher Capcom, revealed that he has left the company. "While it comes as something of a relief, today is bittersweet. After nearly eight years, it is my final day at Capcom," he wrote. "This departure is not a bad thing for me and it's happening mostly because I'd suggested it during the early planning for today's reorg," he continued. "While I wish the company the best of luck, Capcom is going in a different direction and the need for people at my level, relative to other areas, is lacking. Those who know me well, know that I've been ready to go for quite some time." Unfortunately, Svensson's voluntary departure is accompanied by an unspecified number of involuntary cuts. "Sadly, I'm not the only one affected by the reorganization today. Over the next few days, I'll be gathering resumes from as many as I can and will be sending them out to my contacts around the industry to see if there's a 'love connection' to be made," he wrote. "At the same time, if your company is hiring in one of these areas, please let me know via FB message; doing so might save some time for all concerned." As for the future, Svensson said he's got a few possibilities lined up with a "level of authority [that] will be more in-line with the levels of responsibility" he's had over the past several years.